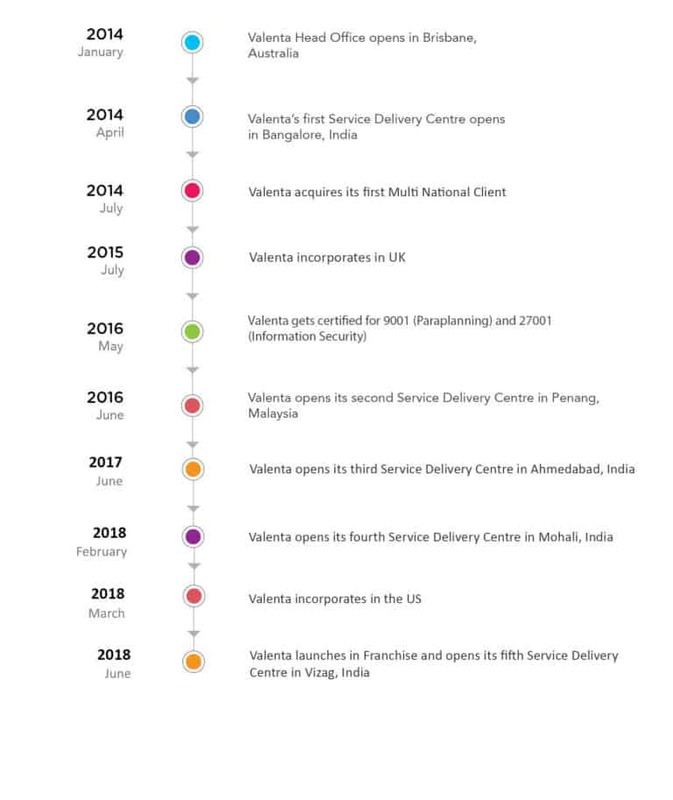 Valenta BPO specialises in Process Consulting, Digital Transformation and Outsourcing. Our Process and Digital Transformation is designed to transform your business by improving key areas related to competence and performance thereby enhancing your competitive advantage. We work closely to understand your requirements and provide innovative solutions that simplify and further enhance business efficiency. We have a strong presence across the globe and provide outsourcing solutions to hundreds of businesses across Australia, NZ, Canada, UK, United States and Asia-Pacific. This has helped gain a high level of expertise in diverse business practices across regions. Our well-established delivery centres in India and Malaysia enable us 24/7 operational capabilities helping our clients effectively overcome staffing/ resource challenges to meet their ambitious growth objectives. Among our key strengths is our capability and expertise in enabling fast-growing businesses to meet their growth objectives. We are committed to providing innovative outsourcing solutions to help your business gain the competitive edge in a dynamic business landscape. This gives us proven strength in terms of both expertise and bandwidth along with the ability to offer dedicated teams to clients based on their requirement. We customise our solutions to suit specific client requirements and offer flexible engagement models. We offer resources full time/ part time or services on a transactional basis or offer a dedicated team of professionals that act like a virtual extension of the client’s team. We offer dedicated resources trained in the client’s business practices and processes – a virtual extension of the client’s team ensuring seamless delivery. Our teams are lead by professionals with vast experience in their chosen domains complemented by thorough knowledge of rules and compliance laws of their clients’ countries. Considering that we work with global clients, we take data protection of our clients and their customers very seriously. We are GDPR compliant and also ISO 27001 and ISO 9001 certified. Our well-staffed delivery centres in Bangalore, Vizag, Ahmadabad, Mohali and Penang, Malaysia help us offer services 24×7 translating to faster response times.